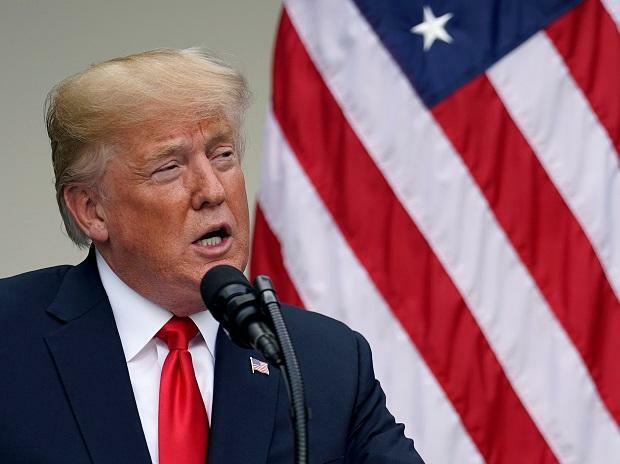 President Donald Trump on Friday said he does not want to hurt Canada's economy but also warned that if he imposes taxes on cars it would be "devastating" for the neighbouring country. "If I tax cars coming in from Canada, it would be devastating. But I don't want to do that," Trump told reporters aboard Air Force One. "I do use that as leverage in negotiating, where they don't want to give us some points. I say that's ok, I'd rather tax your cars coming in, and I win a lot of points because of it." Trump spoke on route to Fargo, North Dakota, while Canadian Foreign Minister Chrystia Freeland was meeting in Washington with US Trade Representative Robert Lighthizer. They have been trying to reach a deal that would allow Canada to remain in a North American trade bloc with the US and Mexico. After a two-hour meeting, Freeland told reporters that "you could say at this very intense point that we are really in a continuous negotiation." Freeland did not say whether the negotiations would continue later Friday or next week. Lighthizer plans to see European Trade Commissioner Cecilia Malmstrom next week in Brussels. Larry Kudlow, the top economic adviser to Trump, told Fox Business Network on Friday morning that US access to Canada's protected dairy market is the single issue holding up the negotiations. "I am just saying 'Let go.' Milk, dairy, drop the barriers, give our farmers a break," Kudlow said. Last week, the US and Mexico reached a preliminary agreement to replace the 24-year-old North American Free Trade Agreement. But those talks excluded Canada, the third Nafta country.